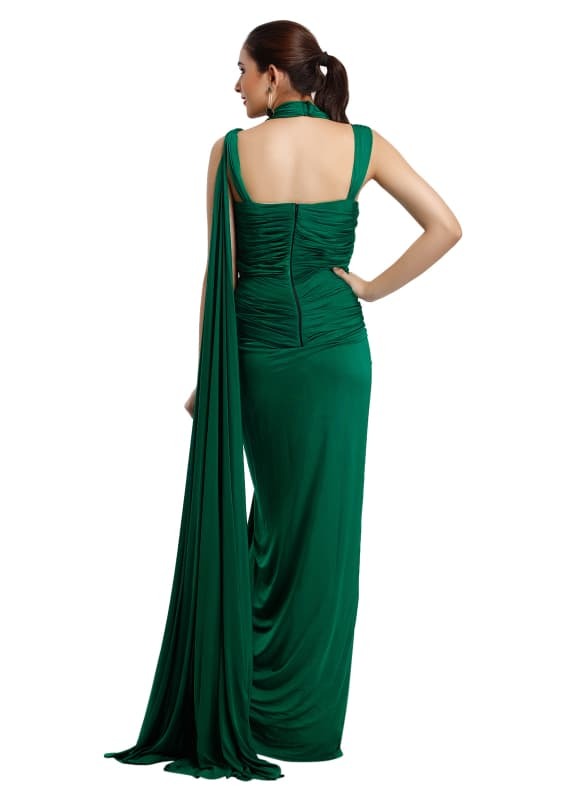 This emerald green sari gown in jersey fabric with a drape and halter style comes with an attached dupatta. 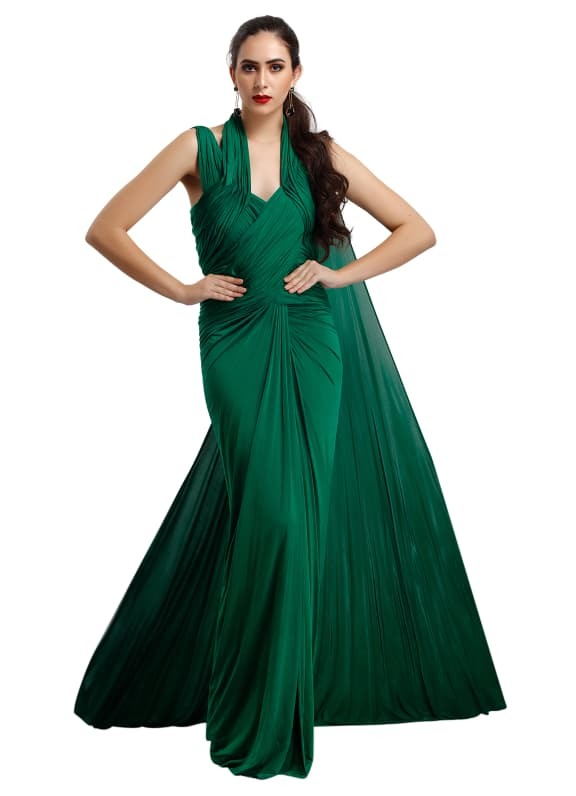 This typical Shantanu and Nikhil emerald green sari gown with their signature drapes will fit you like a dream. 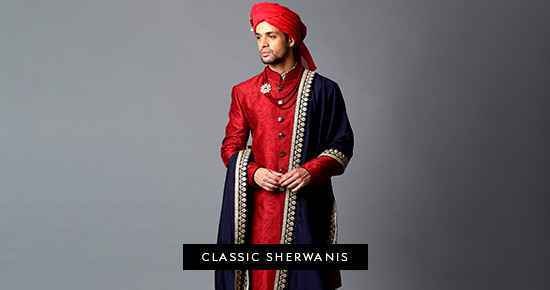 Rich, vibrant and drop-dead gorgeous. Match it with a pair of black shell danglers by Maithali Kabre.